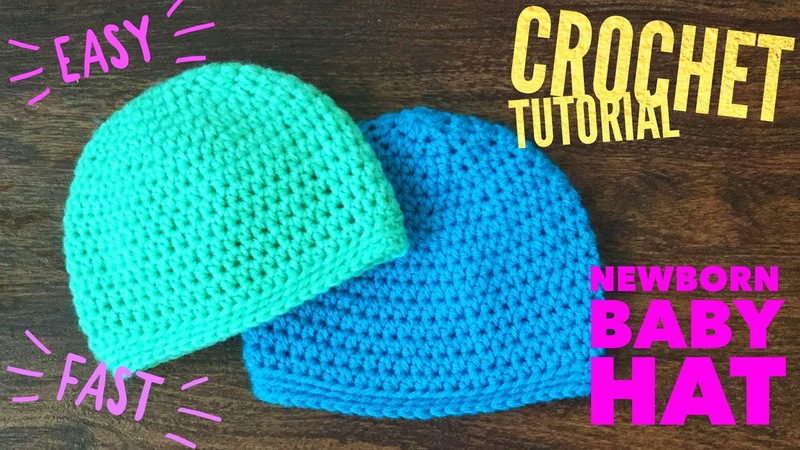 Newborn HDC Hat – Free, Easy Crochet Pattern for Beginners! How to Make the Half Double Crochet Beanie! Baby hats are the cutest thing in the world. Opinionated? Yes. But, they are soft, warm little things and they take barely any time or yarn. If you or someone you know are expecting you just have to make one. 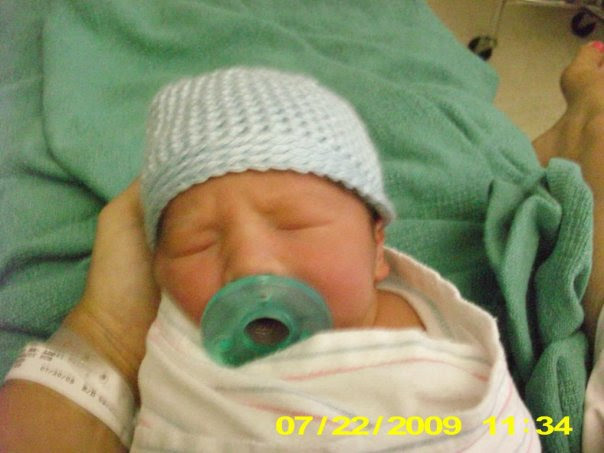 It was my first project ever for my “little bean” (he is 9 now and has an impressive collection of hats). A picture? Ok…if you insist! Ok. I am back on focus! The hat!! This hat is a fast and easy pattern that you can literally dress up in any way! You can make this into a character, add a button or bow. Make it a little longer and flip the brim. (Yes, the brimmed beanie pattern is on the way. Lots of request after the one I shared. Just waiting for the sunshine). The pattern is newborn to 3 months size. Go up to a hook size if you want it to fit 3-6 months! I used Lion Brand Vannas Choice. But, any Size 4 Medium Weight Worsted Yarn is fine. I talk about yarn choices and how they effect the hat in the video. Also, I discuss how to measure before you add length to be sure that you will end up with the right size! Come visit me on youtube! The Free Printable PDF Pattern can be found by clicking here! If you do not want to download anything then just keep scrolling down for the pattern. I understand that! Row 17) BLSC around, ss into the first BLSC of the row and FO. Weave in your ends. Melody Adams is a participant in the Amazon Services LLC Associates Program, an affiliate advertising program designed to provide a means for sites to earn advertising fees by advertising and linking to Amazon.com. Great video tutorial! Question, shouldn't Row 7 read:HDC, HDC, HDC, HDC, IncHDC?